Are you an active traveller? When dreaming of your next luxury vacation to Italy, many people think of the incredible food, wine, landscapes, sea, and beaches. But lets not forget the great outdoors! Italy is home to some fantastic hikes. Whether you are traveling as a family or on your honeymoon, let us at the Italian Concierge craft your dream itinerary. A magical place full of stunning snow capped mountains, valleys, world class skiing.. and that’s just the start. Sud Tyrol, located in northern Italy, is a fabulous destination all year round. The countryside is gorgeous, spotted with castles, rolling hills, picturesque landscapes and medieval towns. Gourmet food is easy to find, with dozens of Michelin star restaurants, and fantastic local wine to boot. Want to escape the crowds during a visit to Italy? Like the outdoors? Last month, the Italian Concierge featured an article on the Cinque Terre proposing new restrictions to limit its number visitors. While the new measures have not yet been put into place (as with all things in Italy, this will take some time), it’s always a good time to talk about the great hikes in the area! When I think of Piedmont, this is what I see. Rolling hills, covered with vineyards. Perfect for a stroll between wine tastings. 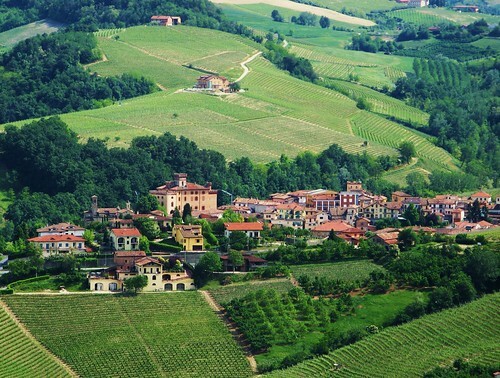 Many travelers love Piedmont for its food (and wine) due to the rich culture that gave rise to and has grown around the Slow Food movement, which is based in Bra, Piedmont. But Piedmont is also home rich Renaissance architectural landmarks, several of which have been inscribed in the UNESCO World Heritage list. Shared with Lombardia, the Sacri Monti UNESCO World Heritage Site consists of nine historic sites throughout the two provinces that range in origin from 1486 to 1712. When the expansion of Muslim territories made it more difficult for pilgrims to visit Jerusalem and Palestine in person to pray at the Catholic holy sights, the guardians of Jerusalem’s Church of the Holy Sepulchre sanctioned the creation of sacri monti (sacred mountains) to mirror the layout and shrines of the main holy places and offer alternative prayer and pilgrimage sites. UNESCO included these sites as much for their beauty as their historical significance, as you can clearly see when visiting them. Located outside major cities, built into the side of mountains, and incorporating forests, streams, and lakes whenever possible, the sacri monti represent a type of architecture that unites natural and made made elements that spawnded many offshoots throughout Europe. Walking the streets of Torino, it’s easy to imagine that the stately, elegant town was developed with a cohesive town plan in mind. Interestingly, that plan revolved around connected the various regular, working, hunting, and leisure homes of the Savoy family more so than any main Renaissance or Baroque city-planning scheme. When the Savoys first moved their capital to Torino, it was a relatively plain provincial village, so they had a clean urban slate to start from. Using the “command center,” which is what we think of today as the palace, as a nucleus, radiating roads were built outward, to connect to the river Po, where the Villa della Regina was built in the foothills and the Royal Theater and State Secretariat soon followed. From command center to the nearby banks of the Po and to lodges further afield in wood areas, the palaces, villas, and lodges of the Savoys—naturally in the most scenic locations around the city—straight, tree-lined royal roads created a framework for the city to grow around. As the Savoy kings were consistent and constant in their growth and reorganization of the city, UNESCO chose to include the site in its World Heritage list because it provides a comprehensive overview of European monarchical and monumental architecture from the 16th to 18th centuries.